Manoj Kumar, International Business Manager at Ecotech has been named as President of the Cleantech Chapter business initiative launched recently by the Australia India Business Council (AIBC), Victoria. Set up in 1986 following recognition of the enormous trade potential between Australia and India by the Prime Ministers of the day, the AIBC has representatives across all states and territories with members benefiting from the continuing upward trend in two-way trade in goods and services between the two countries. Members of the Cleantech Chapter will have access to professional opportunities including trade forums, business development initiatives, policy development sessions and a large network of people in the manufacturing and service sectors. As the new President of the Cleantech Chapter, Manoj will be promoting clean technology businesses through multilateral engagement between leading Australian and Indian manufacturers, researchers, service and technology providers as well as customers. According to Manoj, the Cleantech sector in Victoria includes over 300 companies employing more than 19,000 people with annual revenues of more than $3.5 billion. Manoj is currently an AIBC Management Committee member and International Business Manager at Ecotech, creating business opportunities in the Middle East, North Africa and Central Asia. 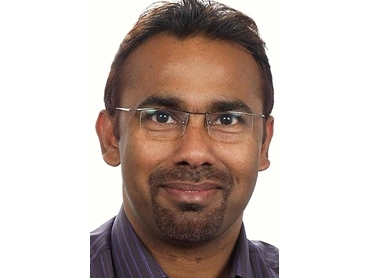 Manoj has more than 15 years of experience in clean technology and scientific instrumentation, and has also provided his expertise in setting up air quality monitoring systems during the Commonwealth Games of 2011. Manoj has contributed several articles on clean technology and also been published in the International Environmental Technology magazine.